As I’ve discussed before, trust is critical in engaging consumers. The question always is “Who does the consumer trust in healthcare?” We certainly know that individuals like physicians, nurses, and pharmacists are trusted, but they often aren’t the ones doing the big campaigns to engage consumers. It’s the pharma manufacturers, the hospitals, the PBMs, the payers, the retail pharmacies, and other entities. In my presentation at the CBI conference, I hypothesized that this is why retail pharmacy should (could) take a bigger role in the future. The new survey from Harris Interactive reinforces that. 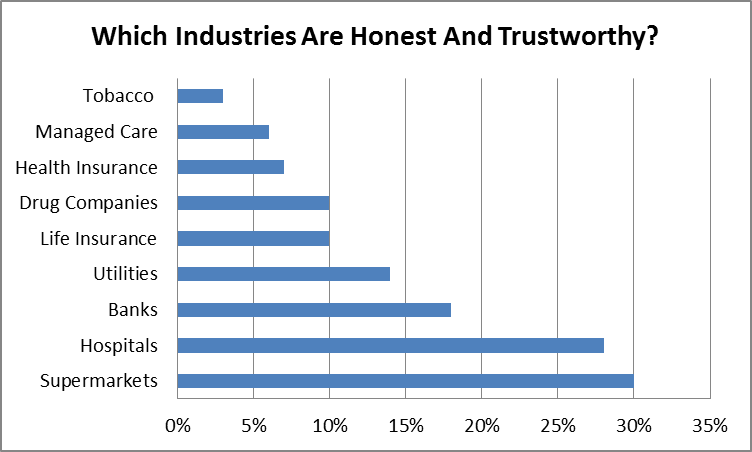 Of course, 42% of people don’t believe any companies, but with some healthcare companies being barely trusted more than tobacco companies, consumer engagement isn’t easy. 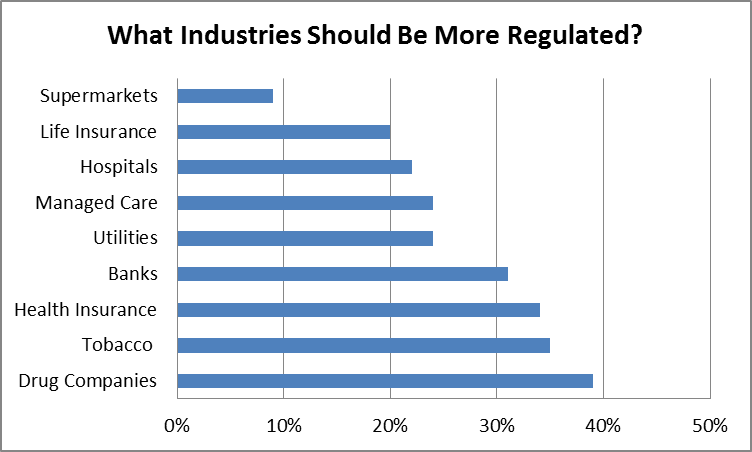 The additional bad news from the survey is that people think more regulation is necessary in healthcare.